How do you mount a research expedition in a country that is 85% rural, with 25% of the population in extreme poverty and 17% unable to meet their food requirements in the past year? Six Virginia Tech undergraduates can answer that question after applied and experiential training gained through study abroad in Malawi. Three field work teams consisting of students from Virginia Tech, University of Denver, and Mzuzu University collected water, sanitation and hygiene (WASH) data to advance three separate research projects. One team plotted water and sanitation access in peri-urban Malawi using GPS, survey instruments and participatory mapping. Another group tested public latrines and toilets for a hygiene and sanitation assessment. In addition to measuring contamination on handles, doors, etc. this team also interviewed latrine/toilet visitors. The final team measured fish contamination in the lake-to-market supply chain, sampling fish; fishermen hands; boats and transport vehicles. Quantitative data was supplemented by administering interviews. One team measured fish contamination in the lake-to-market supply chain, sampling fish; fishermen hands; boats and transport vehicles. Describing the course design, Dr. Hall said, “A critical component in international field work is being able to adapt and respond to real-world problems as they come along.” For example, the students on the fish team in Malawi adapted by waking up at 3:00 a.m. to travel to the lake. This project was requested by a researcher at the governmental fisheries department and seventeen sample points were identified along the value chain! Local and university leaders were in attendance when the research teams delivered their final presentations accompanied by briefing documents and infographics. The preliminary findings are already drawing interest from global NGOs, and students are currently preparing manuscripts on the results from their research for publication. Rochelle Holm (the Director of the Centre of Excellence in Water and Sanitation at Mzuzu University). The Virginia Tech students who participated were a mix of juniors and seniors in biological systems engineering, environmental policy and planning, international studies, and water resources policy management. Meanwhile, the students from Denver and Mzuzu Universities were all at the graduate level, so the Virginia Tech undergrads made excellent early-career mentoring connections. The joint course with 3 universities and 3 weeks in residence was based at the Mzuzu SMART Centre. 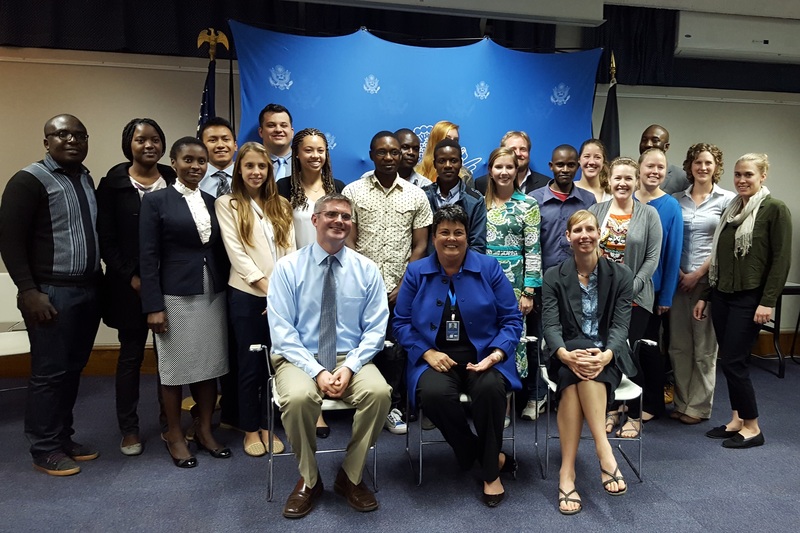 Students did make time for cultural experiences, meeting with the U.S. Ambassador and visiting the Vwaza Marsh Wildlife Reserve. These encounters developed a macro-level view of Malawi and Africa, while the fieldwork kept the student researchers focused on contributing to the host community. Dr. Hall’s sustainable development expertise, encompassing transportation as well as water systems, made him uniquely suited to develop SPIA’s newest summer offering. Ralph also leads a philanthropic effort to collect books for Mzuzu University, which lost its entire collection to fire in December 2015. The VT library, faculty and an army of students have partnered in the initiative, with an amazing 10,000 books collected to date.